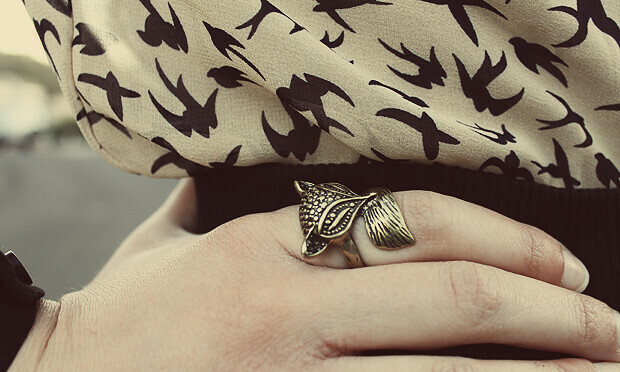 that blouse is dreamy!i love this kind of shirts.great ring too.lovely outfit. hope you get your rest tonight with nat! I love the pattern on this blouse and it goes so nicely with the skirt. I also love that Bon Iver song! I'm currently listening (completely addicted) to the song Take Care by Tom Rosenthal! your top had such a great print! and i love the sandals! 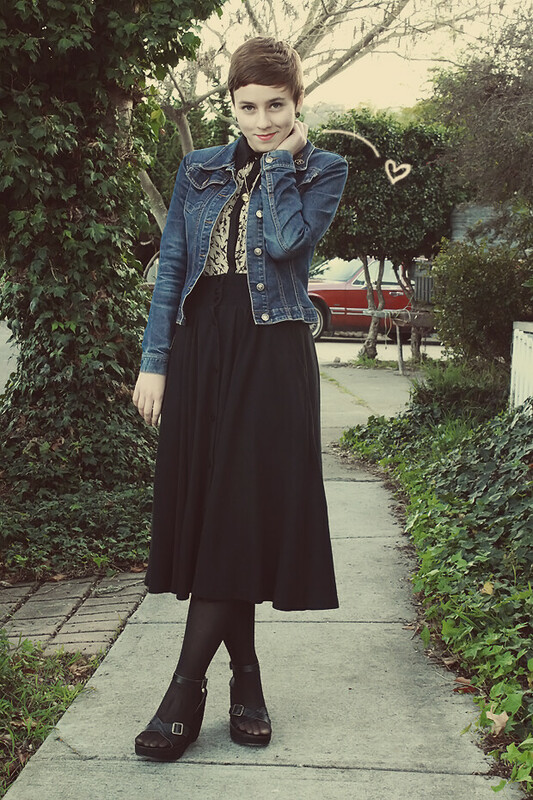 I love that beautiful long skirt! Such a great silhouette! 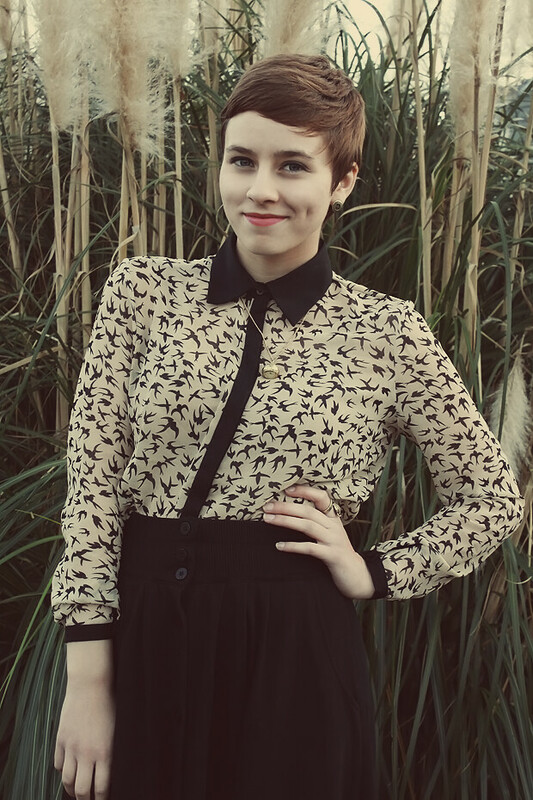 I seriously LOVE awesome patterned shirts! Man, gotta get me some of those! I love how you styled it, sometimes you just gotta let the piece be the focal point and tone down everything else. Aaah it looks amazing! Scrumptious print! I dig the swallows. You look so lovely in this OASAP blouse! I looked at it and really wanted to try it out, as well, but they were all out of stock :( Glad I can wear it vicariously through you though! very pretty! and I like you hair! The top is amazing all buttoned up! That collar!! <33 Hope you get a chance to relax tonight, and try to enjoy yourself at the Showcase! Love Love Love the shirt!! soooo lovely! You look wonderful! I love them!!! I actually make them... let me make you a pair? I normally just wear one huge one in one ear.. Ill send you some pictures of ones I have made! 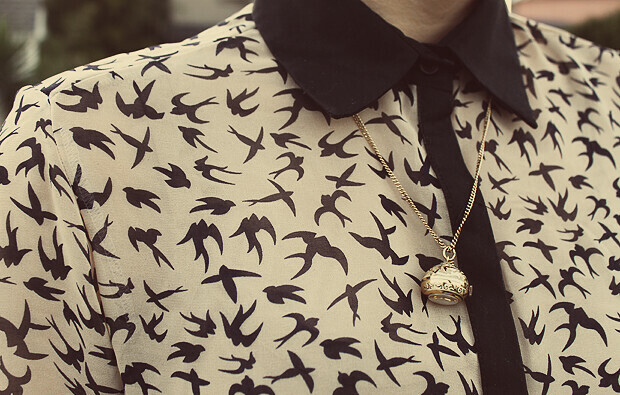 i am so inspired by your swallow bird shirt and the way you style yourself - so nonchalant, not over-the-top and perfectly unique. 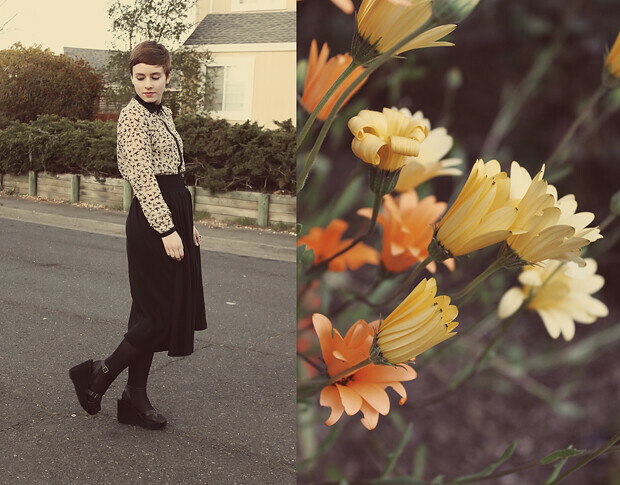 i am your newest follower and would love it if you would visit my style blog and return the favour! can't wait to see more of your looks, elanor! your blouse is the absolute cutest pattern! Oh my gosh I wish I had seen this blouse when I made my oasap order! It's so gorgeous! Omg... You are adorable! 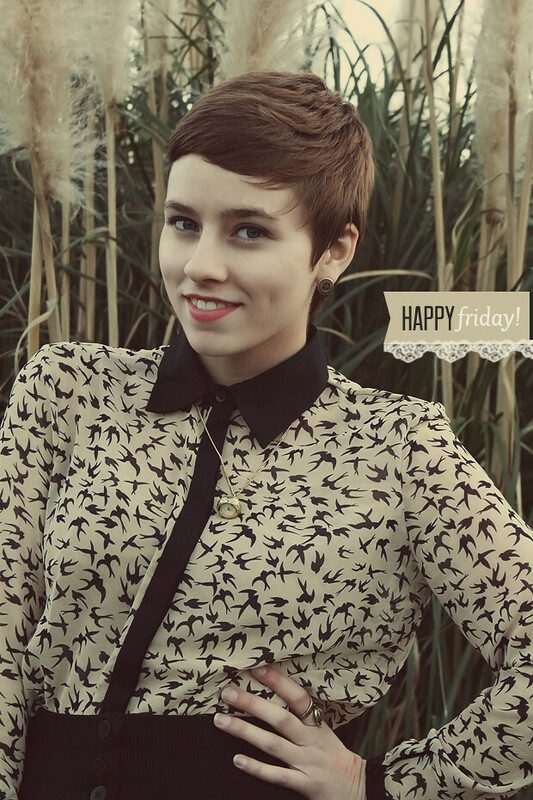 I don't think I've seen anyone rock a pixie as well as you... yes, including Hallie Berry. I LOVE this outfit and am your newest follower. Your blog is so pristine and easy to read and lovely to look at! Oh my oh my this is just such a lovely outfit on you! I love how you're wearing all black from the waist down-- so sleek! Those wedges are just too neat, also, as is that delicate gold necklace of yours! That blouse is awesome and so is your new ring. 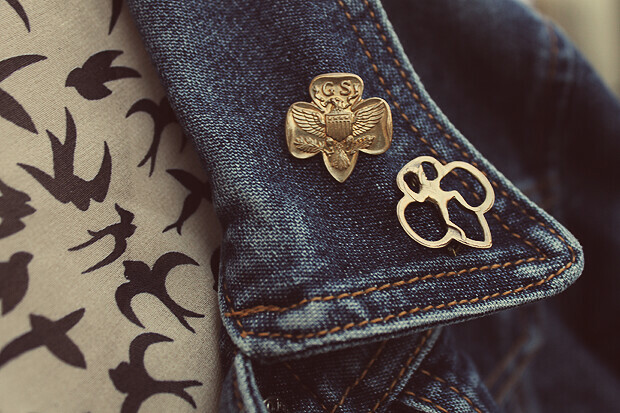 I'm loving the girl scout pins on your jacket too.